TMJ stands for “Temporomandibular Joint.” This is a mouthful and it can sound very daunting to patients! But if you are having jaw pain, facial pain or both, you already know that TMJ can seriously interrupt your daily life and impact your health and wellbeing. Alleviating the symptoms of TMJ starts with addressing the discomfort and pain while working backwards to identify the causes and provide corrective treatments. If you or a loved one is suffering with jaw and/or facial pain, this page will address potential causes and treatment options. TMJ is a condition that affects the temporomandibular joints of the jaw. You have two of these joints – one on either side of your jaw. 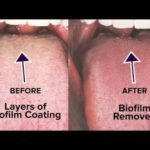 These joints are critical in that they control your ability to open and close your mouth, chew, speak and other functions. The TMJ joints consist of a ball, a socket and a cushioning disc. When you develop TMJ, either one or both of the joints may be affected, and any or all of the components of that joint may be implicated. Because TMJ can be caused by pressure on or injury to different parts of one or both joints, the symptoms can vary from one person to the next. Sometimes TMJ syndrome is also called facial pain syndrome for this reason. Tenderness around the joint area. “Clicking” when the joint opens and closes. Limited ability to open or close the mouth. Locked jaw joint (where the mouth won’t open or close as the joint locks in place). Radiating pain out from the joint area. Stiffness of the joint muscle. Changes in bite (the way the upper and lower teeth fit together). Pain in the head and neck area. Some or all of these symptoms may be present when TMJ syndrome is active. 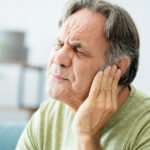 While sometimes the symptoms will eventually resolve on their own, in many cases active treatment is required both to ease pain and to help the jaw joint get back to normal functioning. As more is learned about TMJ syndrome and facial pain syndrome, more and better treatment options are discovered. The type of treatment is symptom-oriented, which means the treatment your dentist prescribes will directly relate to the symptoms you are experiencing. Physical therapy. This can include exercises, hot/cold therapy, cold laser therapy, changes to diet, stress reduction techniques and other helps. Botox. Botox is now being used with success to treat the pain and stiffness in the jaw joint. Muscle relaxers can have a similar positive impact. Custom splints and bite guards. When TMJ is being caused by grinding, clenching or muscle spasming, wearing a custom splint or bite guard can take the pressure off the jaw joint. Oral surgery. If there has been trauma or injury to the jaw joint or the tissues that surround it, oral surgery may be necessary to repair the damage and ease the symptoms of TMJ. In addition to customized TMJ treatments that speak to the underlying cause of your TMJ symptoms, there are some general aids that can be effective at easing discomfort and pain. Anti-inflammatory pain relievers. Non-steroidal anti-inflammatory drugs (NSAIDs) are often part of a course of TMJ treatment, either in their over-the-counter or prescription forms. Anti-depressants. Some anti-depressants do more than relieve depression, which is why they are now being used for pain relief as well. Stress-control therapy. Biofeedback, acupuncture, relaxation strategies and similar helps can lower stress and reduce the tendency to grind or clench your jaw. Dr. Harvey Shiffman, founder of Boynton Laser Dental Center, is an industry leader in laser dental technology. Dr. Shiffman is certified through the Academy of Laser Dentistry to use three different types of laser systems to correct TMJ, treat periodontal disease, provide cosmetic dentistry and restorative dentistry and treat specialized issues such as snoring and sleep apnea. Dr. Shiffman has been living and practicing dentistry in the South Florida area since 1985. If you have questions about jaw pain, facial pain, TMJ or other dental health issues, you are warmly invited to contact us by phone at 561-737-4600 or online at www.boyntonlaserdental.com to schedule your appointment.